At the Law Office of Sharon M. Easley in Plano, Texas, we advocate on behalf of clients throughout North Dallas who face divorce and all other family law matters. The decisions you will make regarding custody, the development of a parenting plan, child support, alimony and property division will have long-term impacts on the look and feel of your life going forward. Even if you expect to reach agreement on these issues without the need to litigate, it is important to enlist the services of an experienced attorney who will protect your interests. Our law firm will help you navigate through the divorce process efficiently and cost-effectively. Attorney Easley's experience, knowledge and skills — both in and out of the courtroom — are even more advantageous for clients who find themselves in high-conflict disputes in which litigation is likely. Ms. Easley's reputation for meticulously preparing for each trial and her command of a courtroom serve her clients well. As one fellow attorney put it recently, "Everybody knows when [Sharon] walks into the courtroom, she owns it." Texas family court judges are accustomed to seeing Ms. Easley in these contentious cases. Her familiarity with each judge's personality and preferences in how they like cases to be presented help her produce the best possible results for her clients. 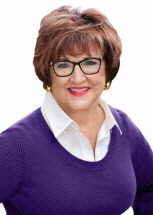 Ms. Easley began practicing law in 1988 and has focused exclusively on family law cases since 1998. Although she is comfortable and confident in the courtroom, she strives to help clients resolve disputes without litigating. Doing so allows both parties to retain control over the outcome rather than putting decisions in the hands of a family court judge or jurors who do not know your child or your situation. Here again, Ms. Easley's reputation among her fellow lawyers as a highly skilled litigator often helps her reach solutions for her clients outside of court. We invite you to call 972-758-9999 to schedule a free consultation in which we will answer your questions and recommend an effective course of action. We represent clients throughout North Dallas, including residents of Collin, Denton, Dallas and Grayson counties, from our office in Plano.